Extremely underrated, sashimi rice bowls are becoming the best thing to have for a cheap, nutritious and tasty meal! 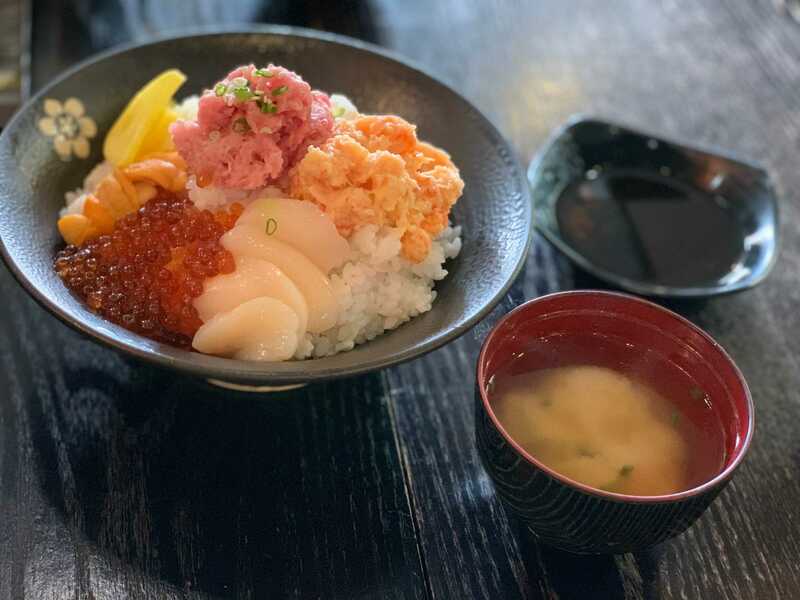 Most Japanese restaurants in town serve kaisendon (海鮮丼)– Japanese name for sashimi on rice–but there are a few places where you can eat the tastiest, juiciest and freshest sashimi rice bowls in Macau. If you love this dish, but still can’t find “The One”, read on and pinpoint five spots to have this refreshing, protein-packed bowl of goodness! Thankfully, there’s not just one, but three Samurai Fish in town! 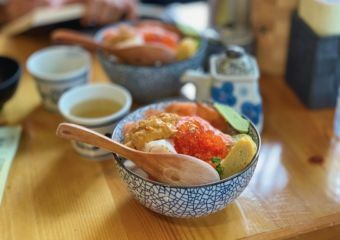 Besides the usual sashimi and other snacks, they have the most amazing sashimi rice bowls in town. Just find a seat in this tiny joint and get started on your journey to sashimi heaven. 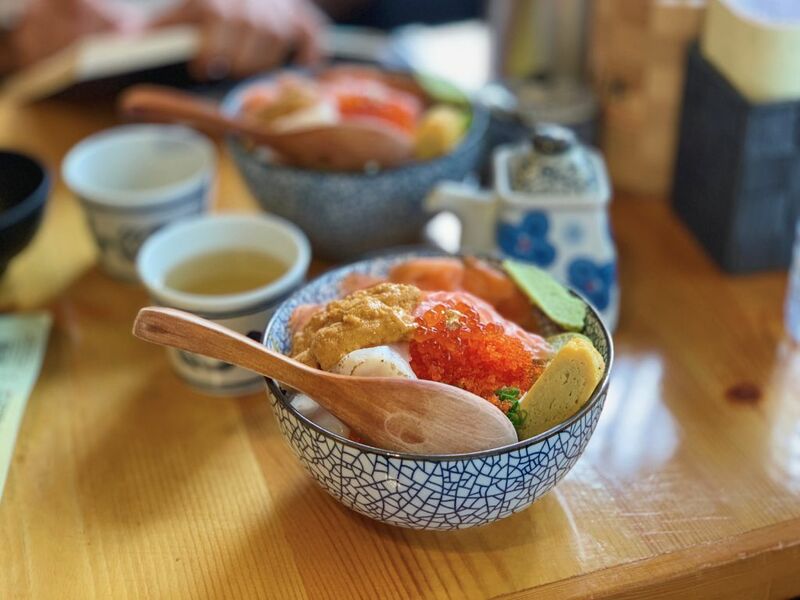 They have everything from salmon to fresh tuna, spicy fish, and specialties include scallops, eel and sea urchin. There are also more than 10 combinations for the sashimi rice bowls! Can you imagine? For more information and to drool over their menu, check here. This small and cozy takeaway shop with three to five sitting spots is opened until late and the staff (as well as its founder) speaks English! 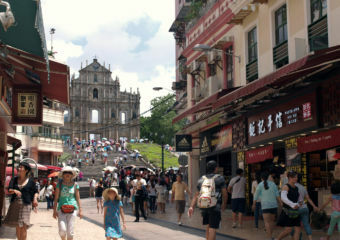 They also have both Chinese and English menus, and accept orders by phone. As it’s a family-run business, the shop is very friendly and one feels not only home, but cherished. 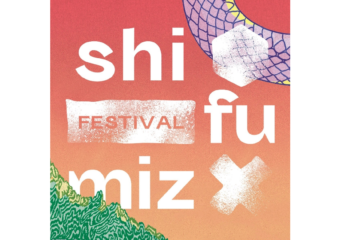 They have sushi, sashimi, hot rice bowls with beef or chicken, and much more. 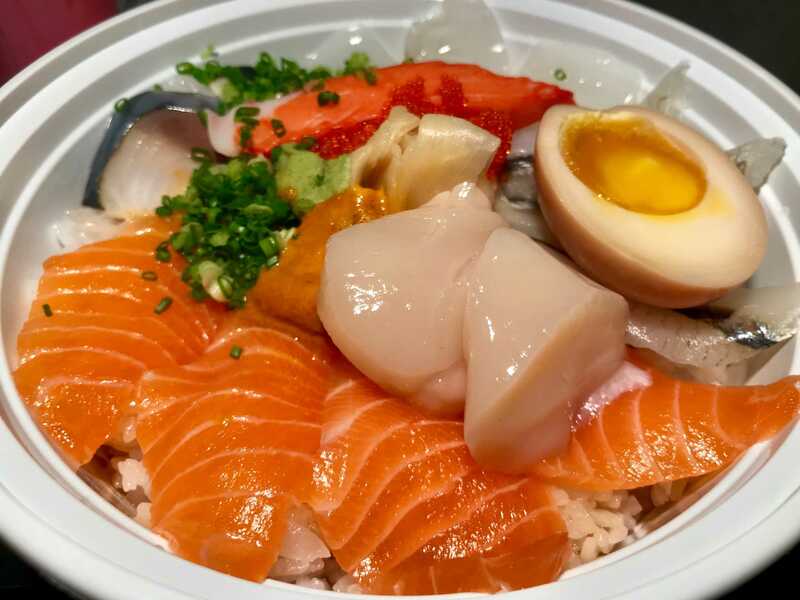 As for the sashimi rice bowls, just tell the staff what you wish to have and they’ll tailor make it for you at a slight additional cost. 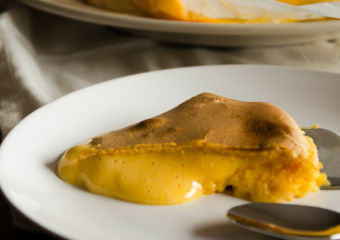 Ingredients such as sea urchin or scallops are usually available and is definitely the cherry on top! “The Japanese house of noodles” is Mian’s motto and they are definitely on point. Their main specialty is ramen with whatever you can think of–fish, seafood, beef, chicken and there are even vegetarian options! 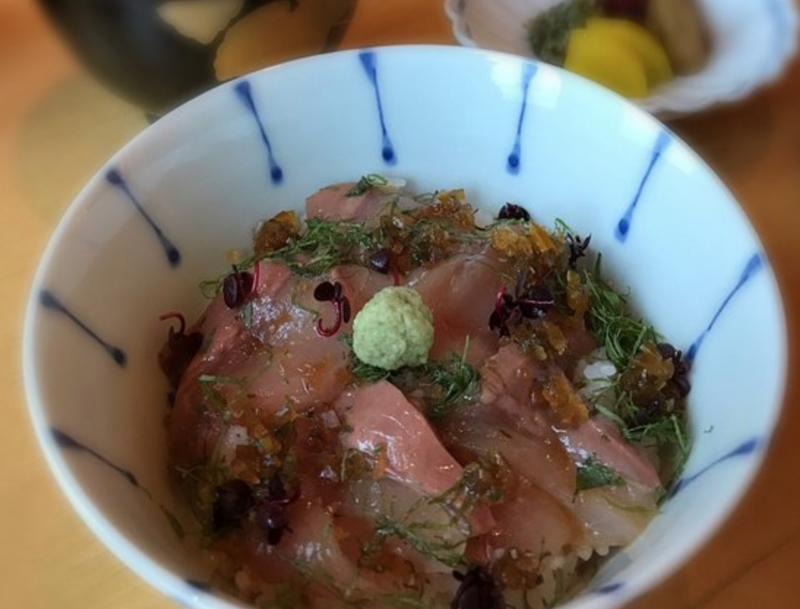 However, if you are looking for something refreshing on a hot summer’s day or something lighter on days you don’t feel like stuffing yourself, a sashimi rice bowl is what will hit the spot. 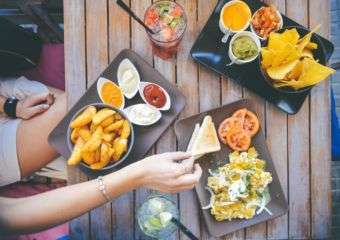 Located in Cotai Central, this restaurant is usually quite quiet and relaxing, therefore it’s a great stop after a long day of shopping! Take a seat and relax while enjoying the night view with a wonderful sashimi rice bowl. 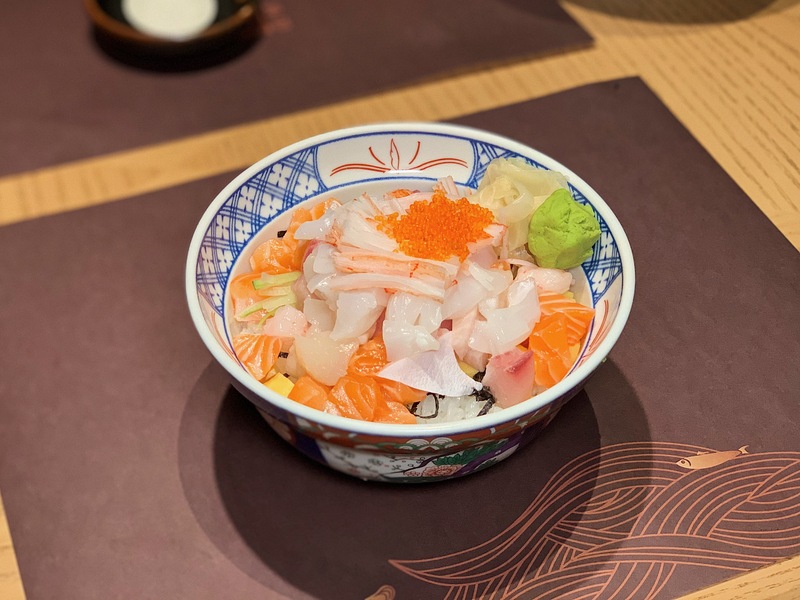 It doesn’t offer as many options as Samurai Fish, but Ginza Kaiten Sushi has other interesting offerings as well such as Okinawa cold soba and Okinawa pork hock ramen. They are also a bit more expensive than the shops mentioned above, but it’s definitely worth every cent. 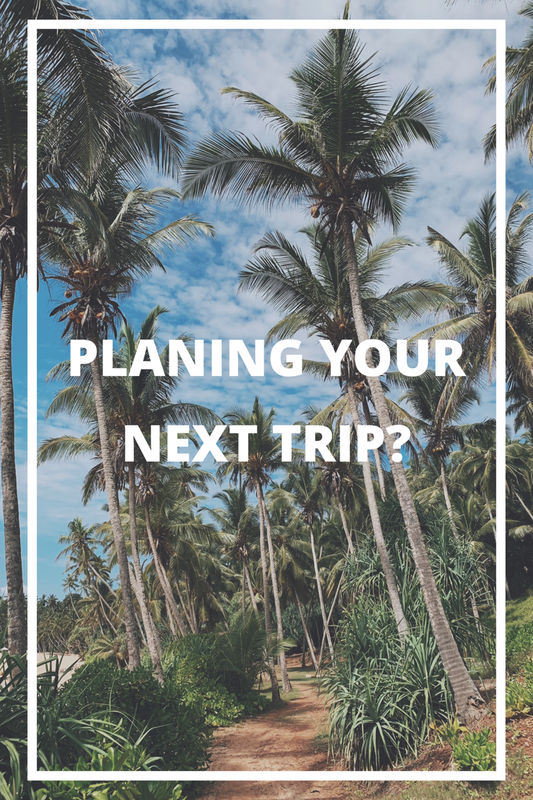 For more information and a glimpse of their menu, click here. Hokkaido is a must-visit place in Japan if you are looking for super fresh sushi. Thus, Hokkaido Restaurant is definitely the place to go to for a sashimi rice bowl! 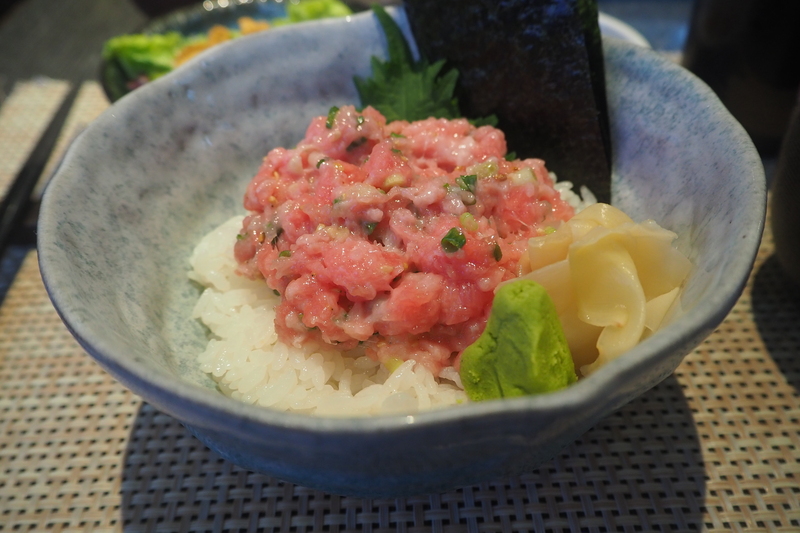 Opened till late, it also serves up an exquisite lunch set menu which also includes the sashimi rice bowls! Have an amazing set meal which includes soup, dessert, snacks and a sea urchin rice bowl for way less than usual. Check their pricing and yummy dishes here. 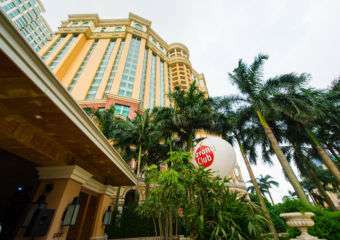 Besides being exceptionally chic and beautiful, Hotel Okura Macau specializes in Japanese design and, of course, food! 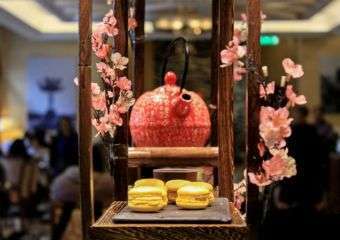 Go for an exquisite and original set lunch at this quiet restaurant in Cotai and enjoy their Sashimi Set Lunch for MOP $380. It includes an appetizer, five kinds of sashimi, simmered dish, rice, miso soup, pickles and dessert. 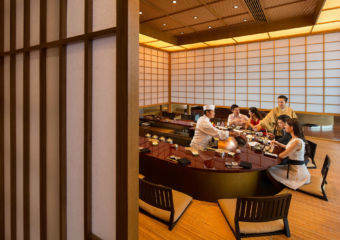 Looking for a deluxe Japanese lunch for a reasonable place at an exquisite spot? This is it. Check their full lunch menu here.